Okay, there is a story behind this blog post. I went grocery shopping at Walmart Thurday with my Mom and I saw this woman who looked like she let a baby slap some makeup on to her face. I mean it was pretty grotesque. THEN I had to go back Friday because I forgot something and I saw her AGAIN! 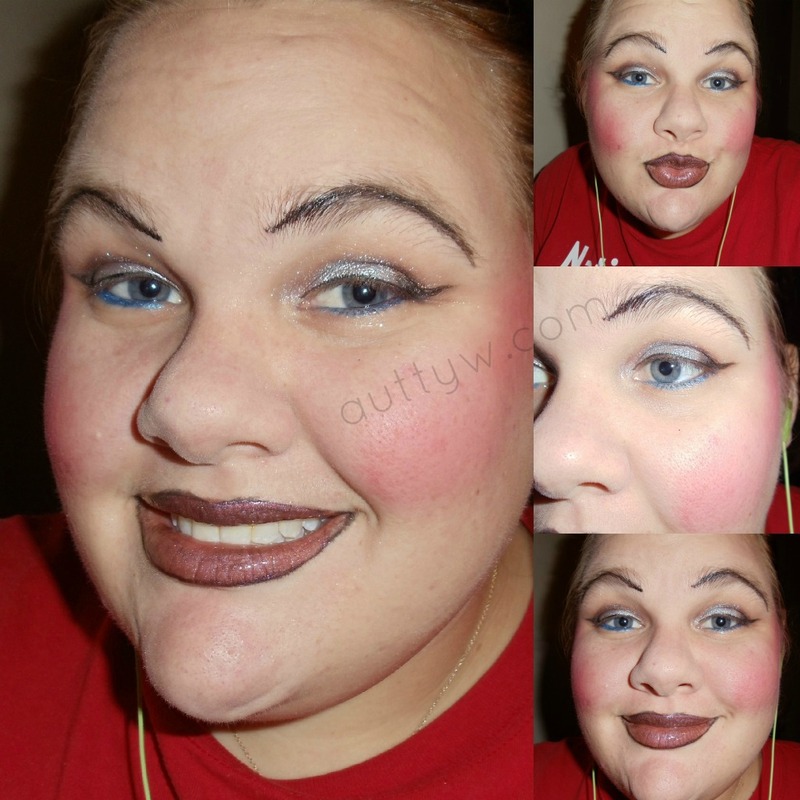 Oh boy, I couldn't contain myself, I just had to try recreate her look. I wound up slapping her two looks together and came up with what I am about to show you. I just want to warn you. It is kind of scary and horrid. I felt so bad putting all of this on! I had to use so many different products to try and get it right. I just want to warn you. I am not exaggerating what you are about to see. This woman actually went out in public like this. I don't know why anyone would do that. This is not a post to make fun of someone. Obviously its not because they are not pictures. My face is. I feel like.. just ugh. I had to fight to get through the lips I almost gave up twice. So, what do you think? Should I wear this out? kidding! WOW!! I love this! It's like a cross between a clown and a latina. Next Halloween costume here we come! I can't stop staring... I bet she gets that a lot but thinks people are checking her out >.< No lady, they're trying to understand the horror.